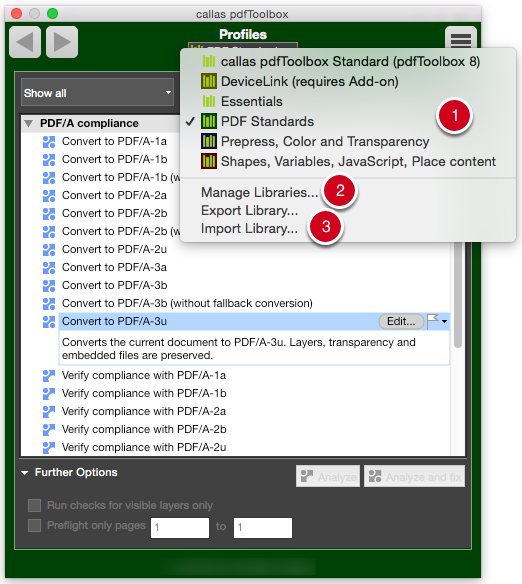 Libraries offer a broader overview for users who, for example, wish to create pdfaPilot environments for a range of jobs or for multiple customers. 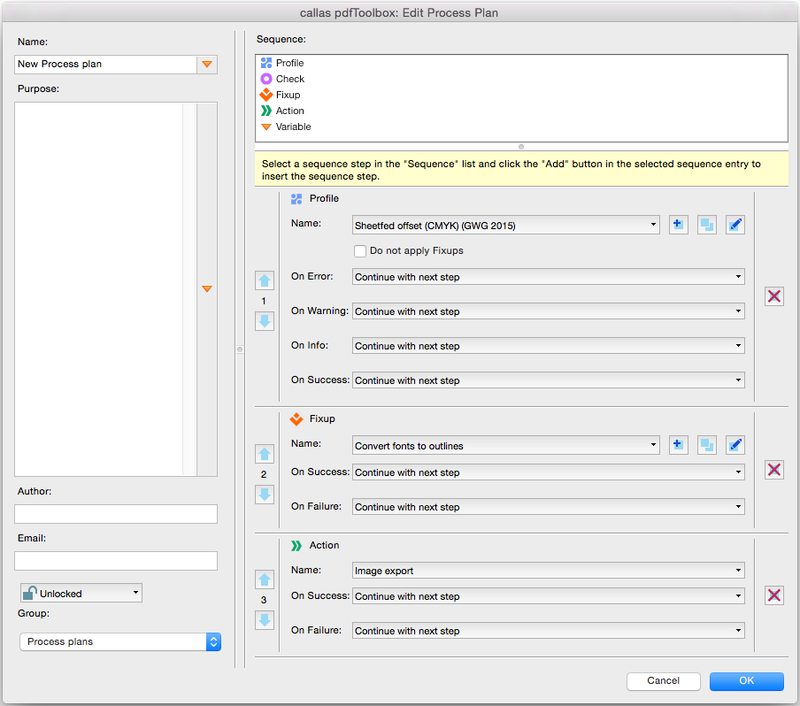 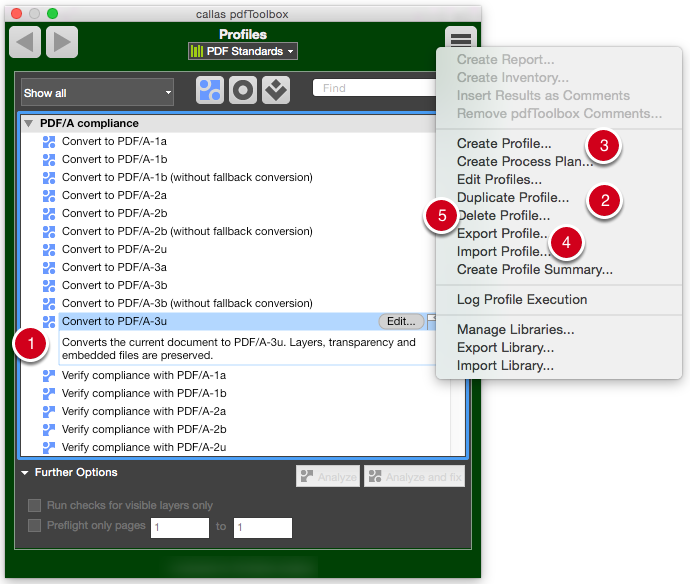 pdfaPilot is supplied with a range of preconfigured Libraries (1). 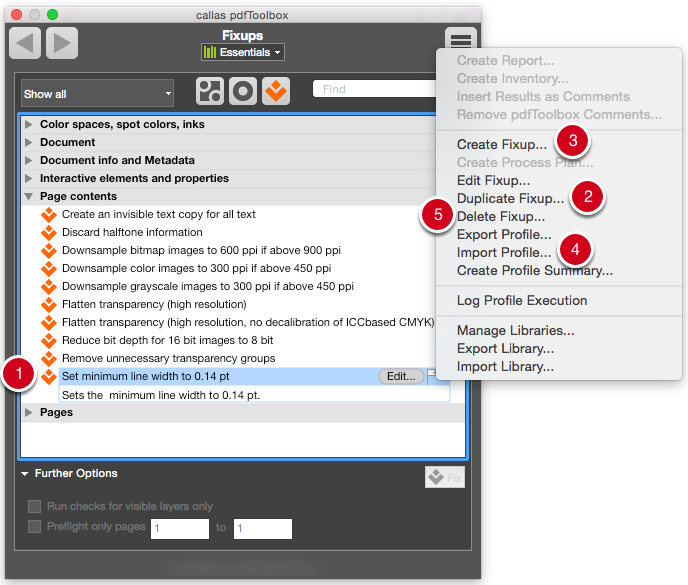 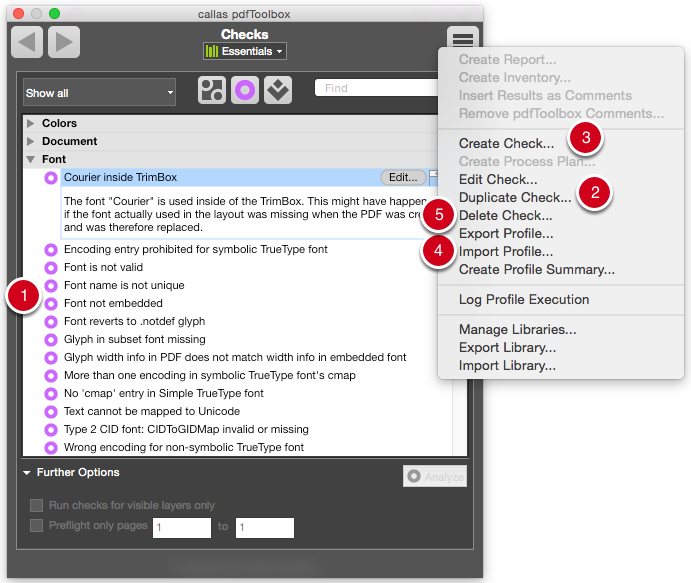 In the Switchboard, and in the overview of Profiles, Checks and Fixups, users can open the desired library from the pop-up menu.